I should preface this with the fact that when I started, I regarded Twitter as a sea of people screaming at each other to “BUY-MY-STUFF”, in 140 characters or less. #Hashtags and decoding message fragments that were missing vowels and punctuation annoyed me – #OldPeopleProblems #Cranky #GrammarNazi. I was cynical as to Twitter’s worth to me, but … I discovered (to my delight) that there are islands of humor, intelligence, and worthwhile creators in it. The art is to engage with like-minds and encourage them to interact with you in turn. 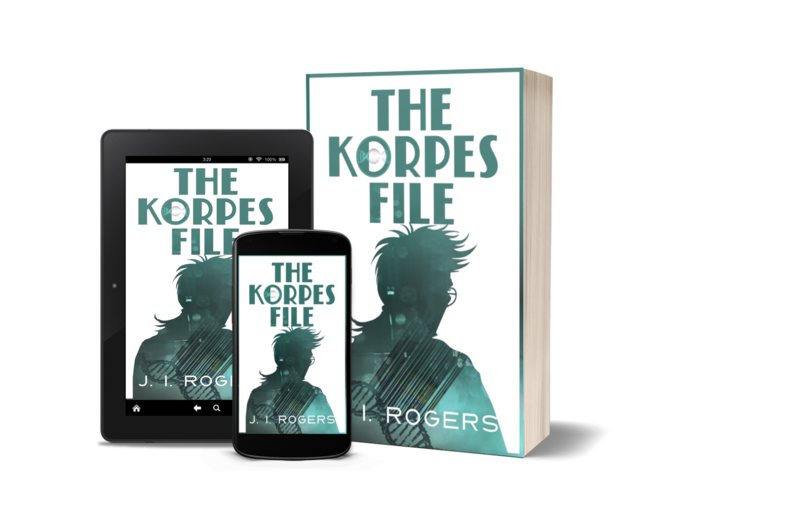 I began building my book presence across my Social Media platforms in September 2015 anticipating that I’d be able to release “The Korpes File” the following September. Twitter was the first to take off, and that surprised me. “The Korpes File” was delayed by five months but the time was put to good use. By the release in early March, I had just over 3k Followers. As of a few minutes ago, I have a modest following of 3245; I gain around six followers a day. It’s not a huge number in the grand cosmos of accounts, but it’s mine. How did I ‘grow’ without a product? Simple: I ‘Shamelessly Promoted Someone Else’; people who had good products, blog posts, books, or interesting things to say, off Twitter. I still do and don’t intend to stop. I also hooked up my other social media sites – a huge time-saver – and shared articles on tech advancements, medical topics, space, and anything else that related to my series. Before my website jirogers.com crashed and burned in February this year, I ran a daily Six-Word Story Challenge and posted that to both Facebook and Twitter. I can claim that brought me a dozen like-minded and interactive followers. I will reinstate the challenge in a couple of months. Note: I recently signed up to a sharing/retweet site called ‘CoPromote‘, and I’m conducting a three-month experiment to see if it contributes to sales. It has extended my reach considerably so far, but I don’t have all my results for March in hand. CoPromote will have its page in this section. No. If you check my list, you’ll note that I don’t return follow the vendors either. The numbers mean nothing; quality over quantity is what counts. Did I do anything that was specifically designed to promote my series, before it’s release? Yes, I gave my main character, Nash, a ‘voice’ on Twitter #SciFi #FictionalCharacter @NXK942 – He and I frequently banter back and forth via tweet. He even has a small 50+ following of his own. Who knows, this may grow over time. Does my day have more than 24 hours? No. I use TweetDeck to keep track of all the accounts and CrowdFire to manage my follower/unfollower lists. It takes 5 minutes a day to attend to Twitter-related maintenance. Disclaimer: The percentages that I reference in the next section reflect my experiences on Twitter, which may not mirror the average. Numbers mean nothing; quality interaction with a few will trump masses who don’t respond. Posting a million tweets looks impressive, but it’s a hollow victory if no one has ever clicked on them. To succeed in your promotion scheme you need to make a lasting impression. Know your #Hashtags – Pick the ones that give you the most bang per character. Set up your Facebook and other relevant social media sites to post directly to your feed. Always acknowledge those that retweet your content and the people who #FF you. See who else was listed with you in the latter, check them out, and if they appeal to you follow them. This is an excellent way to meet new people and gain interaction. When promoting someone else, tag @them; it helps them, engenders goodwill and often leads to better interactions. Set up your DM auto-responder to have several different, short replies. You don’t have to upsell yourself everywhere – including a link to your website, or FB page is enough here. If you have time check people’s tweets out, then find content to like or retweet. This adds to your content with minimal effort and nets a 90% return like/tweet response. If someone DMs you, check it out; you’re not committed to responding. I’ve found that 60% of my generated-by-a-person messages have led to quality interactions when I answer. Be yourself but stay on track by posting things that are relevant to your agenda/brand, as well as things that have an appeal to both you and the people you’re trying to connect with. Build the people in your sphere up; tweet to their successes and pay it forward. There are billions of 140 character commercials to wade through on Twitter, and it’s made people go blind to ads; avoid that trap and keep your ad content to roughly 1/10th of what you Tweet. Make sure you pin your best ad to your page, so people can find it when they look for it.